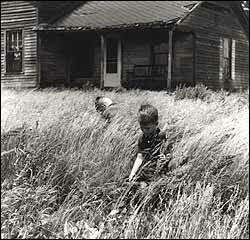 Ralph Eugene Meatyard was an optometrist from Lexington, KY who purchased a camera to photograph his children. He began going to summer workshops and studying zen philosophy, which inspired his imagination. His photographs were done in the style of a photo album, they were small black and white images. His photos usually depicted his children in ruins or were shot as constructed family poses with characters in masks, like The Family Album of Lucybelle Crater, published 1974. 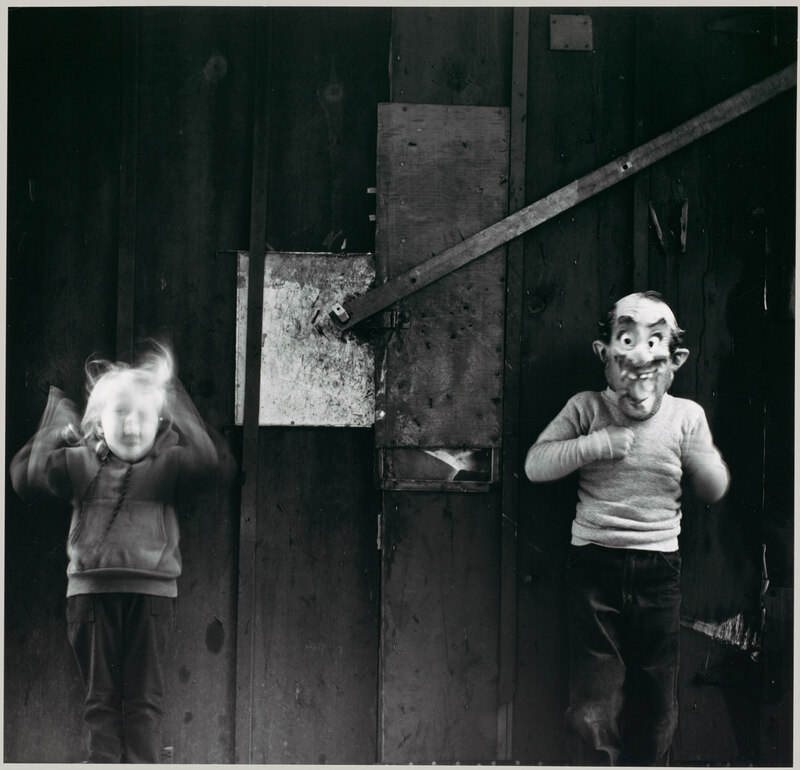 His photography challenged the aesthetics of photography during the time because it was largely about the idea of beautiful, and his characters would wear masks with distorted, exaggerated faces and wrinkled skin. His work was exhibited during his lifetime, but because his career was as an optometrist he didn’t create a reputation until after his death in 1972. Meatyard is known as a “pioneer of art photography.” His work mostly relates to the “Is this Art” category because he makes up happenings for the camera. It’s also Tableau because he contstucts the scenes, dealing with storytelling (chapter 2, Cotton). 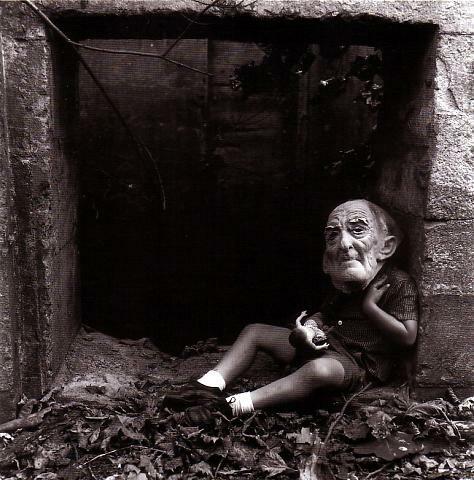 This entry was posted in Uncategorized and tagged Ralph Eugene Meatyard by brittherring. Bookmark the permalink.